Combining innovative product features and flexible expandability, the FS-3920DN ® Printer with output speeds of up to 42 pages per minute will offer workgroups and departments a very configurable and productive printing solution. ECOSYS Printers are also cost effective and reliable, helping to improve productivity and lower operating expenses. Through Kyocera’s advanced technology energy use has been reduced and most typical replacement parts have been eliminated or replaced with long life components, reducing downtime and maintenance requirements. 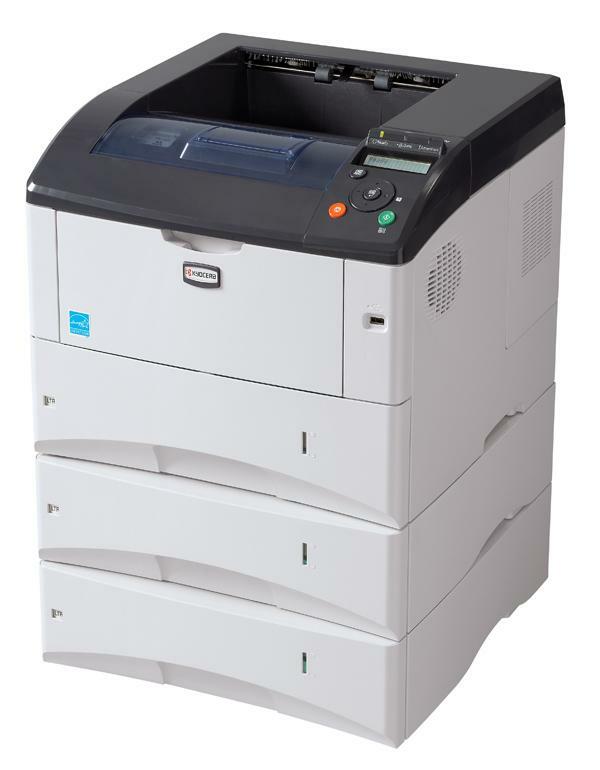 Kyocera printers deliver the high performance, and low total cost of ownership that today’s cost conscious businesses demand.